Highlights: Takes you to Kilimanjaro's true summit, Uhuru Peak and you can start your trek any day of the year! 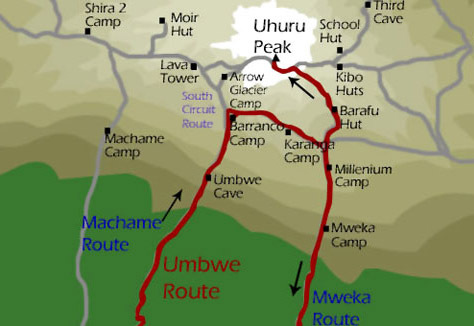 This Umbwe is a steep, spectacular, and direct route to reach Uhuru Peak. You can add an extra day to your itinerary to explore or relax along the route. Moshi, in the very northeast of Tanzania, sits on the slopes of Mount Kilimanjaro, the highest point in Africa and a dormant volcano. Many hikers and climbers stay in Moshi before exploring the famous mountain on which is resides.